Oh my goodness. I'm still not used to the idea of 2015 yet and June is coming (tiny GoT reference, anyone?). What on earth? Does time go by faster with each year with age? Or is it because of those dratted technological advances that makes us forget to slow down and enjoy the time we have on earth? I find myself spending too much being "connected". It is a terrible habit really, how the internet and technology has taken over our lives. At first I thought it was just a younger generation thing but no - the older folks (ie my parents) have now picked up the habit of constantly having their noses buried into their phones. For me, it's gotten so bad that now, I can't sleep if I don't spend at least an hour surfing on the net for pointless mindless entertainment to unwind. Sometimes I wonder if Wall-E wasn't a bit of a prophecy - human kind being too dependent on technology to the point we even forget how to WALK. Scary thought for me. Which is why, since last year, I've been making resolutions to get disconnected more. I've taken myself out of chat groups, muted a lot of apps, and really trying very hard to be in the NOW. I have to admit, it takes a lot of effort to do this. More often than not, I find myself being drawn to the damn phone. I must make this habit stop. How bad is your tech habit? Do you even have one? The Glenlivet's first collection of 50 Year Old single malt Scotch whisky, Vintage 1964, has landed in Malaysia. Released at 42.3% ABV, this is bottle No. 3 of 100. 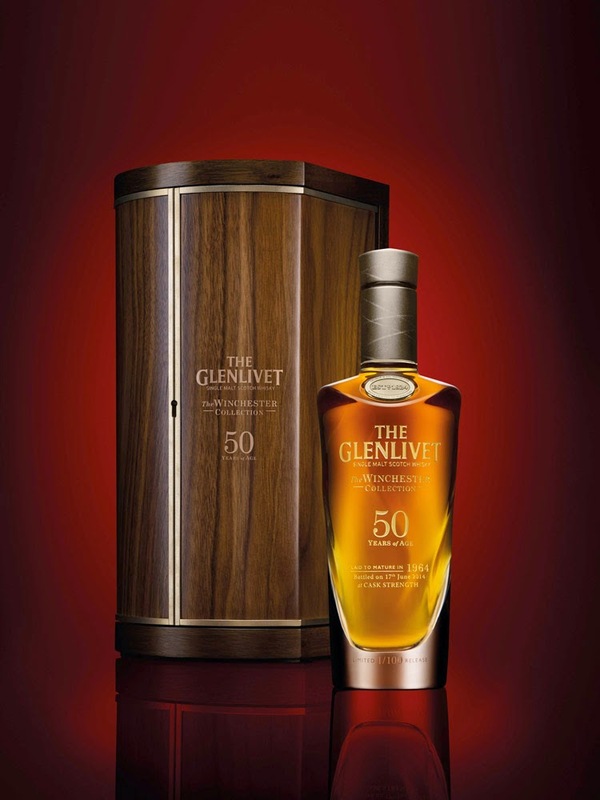 Yes, there are only 100 bottles available on earth. I went for something called "Glamping" last weekend. It's an interesting concept, where you take a holiday in a remote location (usually a jungle of sorts) with some comforts of luxuries you don't usually find when you're camping (eg: toilet, bed, shower...). Usually no forms of entertainment are provided though, so you have to find ways to entertain yourself. 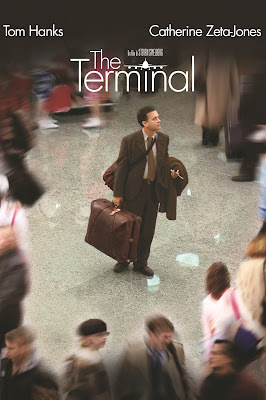 We read , drank a lot of wine and beer, and caught a movie marathon on the laptop. Why didn't we go outside to enjoy the pretty cool jungle air, sights and sounds? Well, the weird thing is that the location of this place is actually on a building site, and it seems it's a work-in-process. So a lot of the natural beauty of the place has been hacked off and basically, it's just a muddy mess with nothing much to see. But the night sounds of the jungle nearby was a nice change, as sleeping in a tent with the rain hitting against the canvas, and showering with the freezing ice cold water because there was no heater provided. The 3 things I always try to take on a holiday to make sure I have a good time 1) expect the worst 2) bring my own entertainment 3) and have lots of booze. Share with me your tips for a good holiday while we get on with what happened on my instagram ya! It was a lovely 4-day weekend in Malaysia wasn't it? Didn't you wished every week was a 4-day work week with a long 4 day weekend? Well, I do. I think a long weekend is just about enough time to really recuperate from the office, spend time on your own personal projects to improve and learn, chores (yuck!) your friends, your family, and with sufficient time to rest. One can dream, I suppose. Or quit the corporate life and get your own thing going - which actually could be a worse option because you never sign out of your "office". Oh well! One can't have everything, but one can grab a quick drink and relax....and wait for the next long weekend holiday that's coming up soon! Yippee! 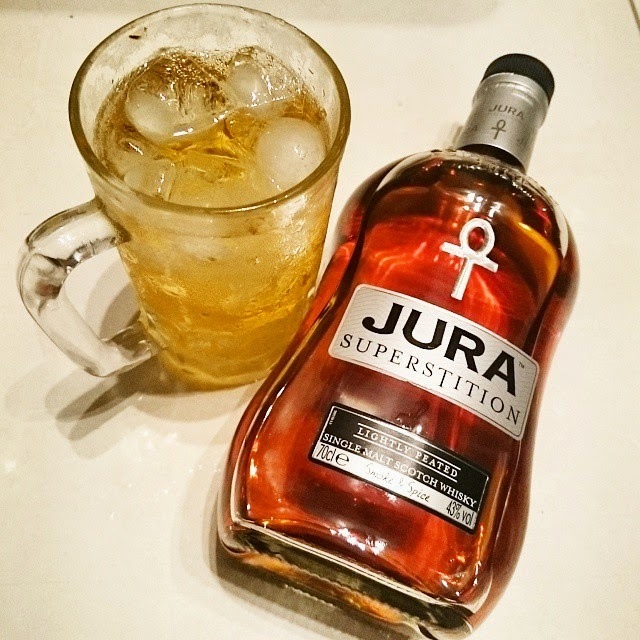 Made a Jura whisky highball. Drinkable.... but maybe I'm not doing it right. Aka Cochin wishes you Irasshaimase! 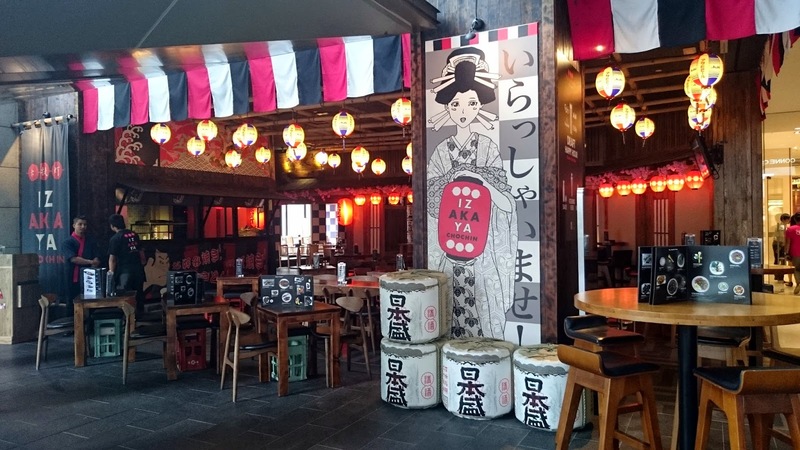 An Izakaya is a Japanese version of what we know as a pub or bar which has a decent accompanying food or snack menu. Izakaya literally translates as "to stay (in a) sake shop". It's historically derived from when the Japanese bought and drank their sake inside the sake shop. Today, this has become the Japanese version of a pub where people hang out after work to drink and unwind with food to snack in-between. Aka Chochin means "red lantern" - which is usually found outside an Izakaya. Put these 2 words together and you have the name of the (relatively) new Japanese outlet in Pavillion, KL. Located at where Circus used to be, it's not too hard to find if you're familiar with Pavillion. 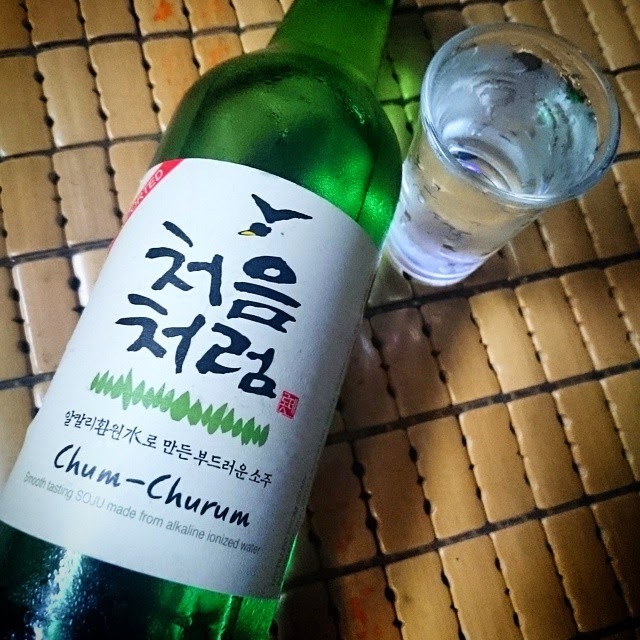 Chum Churum soju by Lotte - do you like this stuff? I don't know how to.